In 1966, Bobby Seale and Huey Newton created the Black Panther Party, a revolutionary black socialist movement that would take America by storm. 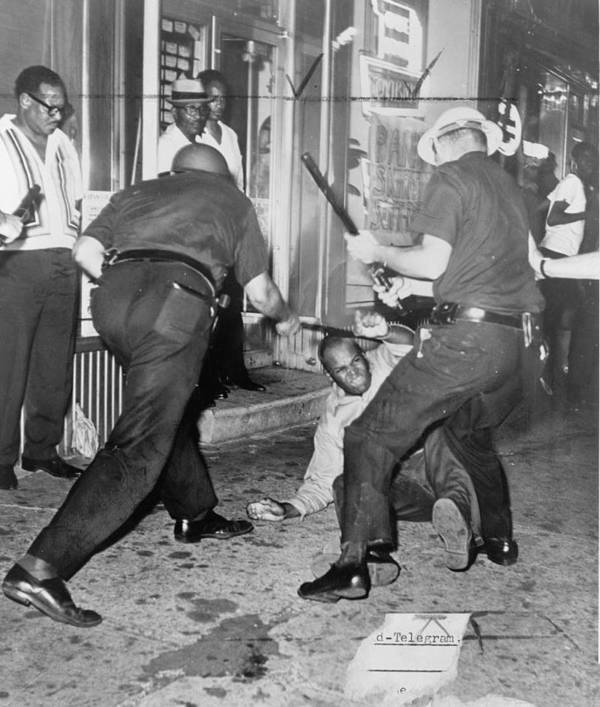 At the onset of the civil rights movement, African-Americans were subjected to consistent acts of police brutality — brutality which, thanks to the advent of TV, helped shine a national spotlight on an all-too common event for African-Americans. As Seale explained, "Malcolm X had advocated armed self-defense against the racist power structure." 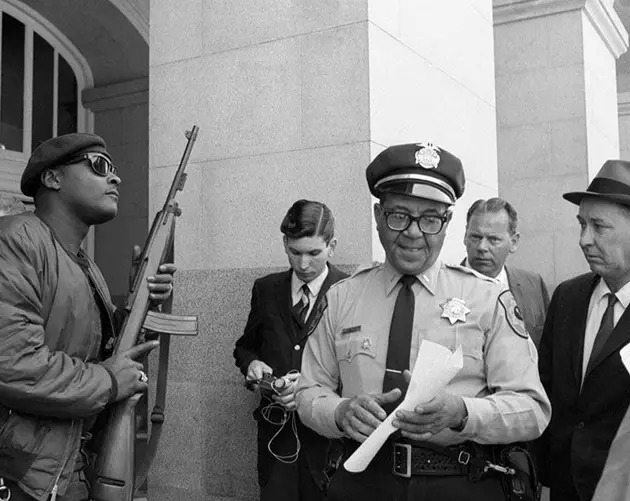 Thus, the BPP armed itself as a way to "police the police" and ensure that police interactions with African-Americans did not culminate in violence. 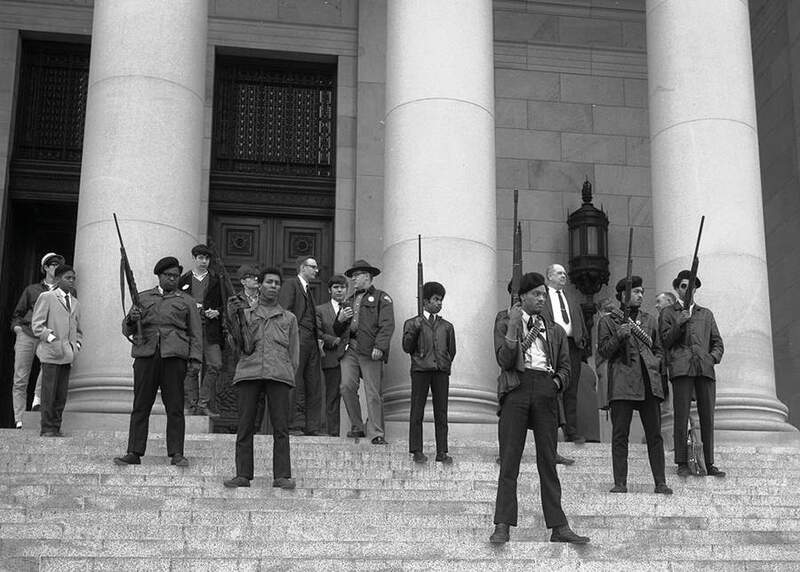 Not everyone liked the idea of black activists wielding guns in their quest for political and economic change. One such opponent was California assemblyman Don Mulford (R), who introduced a bill soon after the BPP's inception to strip Californians of the right to openly carry firearms. The bill became known as the "Panther Bill," and it held the support of the NRA. 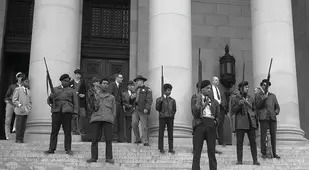 On May 2, 1967, 30 armed BPP members entered the California Capitol Building in an attempt to prevent the bill's passage and draw attention to their cause. While then-governor Ronald Reagan would sign the bill into law, the BPP succeeded in garnering media coverage for their movement. Around this time, the BPP expanded its vision and began offering a Free Breakfast for Children program while also promoting food, housing and healthcare rights in black communities. The "greatest threat" to U.S. security? Beyond politics and grassroots mobilization, BPP gained notoriety for the physical image it projected. 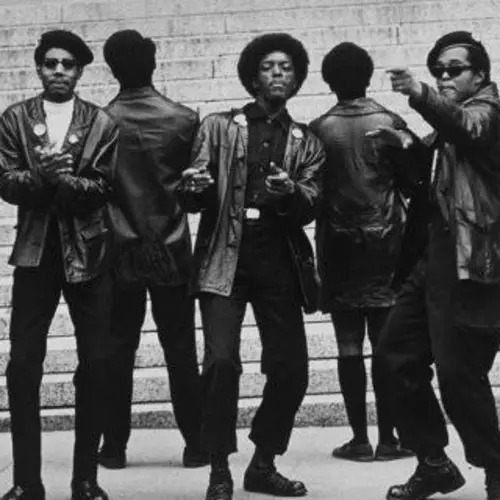 The beret, leather jackets, and prominent afros comprised the quintessential Black Panther "look," one which had kids sending BPP members letters asking if they could join. While the Panthers' aesthetic embrace of blackness made for a powerful visual trope, members say in doing so it didn't exactly invent the wheel. The Black Panther's founders drew much inspiration from revolutionary and liberation movements around the world, specifically the writings of Mao Zedong, former Chairman of the Communist Party of China. In 1968, the BPP made Mao's "little red book" required reading. The role of women in the BPP was — as is so often the case in 20th century activist circles — a complicated one. Still, former members say that outward-facing platforms did not necessarily reflect interior reality. Brown expounded on one event wherein she heard of BPP males beating up member Regina Davis for criticizing a male colleague. When Brown voiced her concern to BPP co-founder Huey Newton, Brown said that Newton refused to respond and instead challenged Brown to a debate. This prompted Brown to leave the BPP. Mass demonstrations came quickly following BPP co-founder Huey Lewis's conviction for killing 23-year-old Oakland police officer John Frey during a traffic stop. The jury sentenced him to 2 to 15 years in prison. In the photo, Huey Newton puffs on a cigarette in a holding cell while a jury deliberated his fate. Supporters of Newton took to the streets to protest the verdict. Accounts varied as to who shot whom first and under what circumstances, and definitive evidence was hard to come by. Panthers pointed to a photo of Newton, shot in the stomach during the altercation and handcuffed to a gurney next to a police officer as proof that their concern over police brutality was warranted. Following his release, Newton endeavored to focus the efforts of the Black Panthers on community development projects such as the Free Breakfast Program. 1969 saw several climactic arrests and convictions of BPP members, one of which included BPP cofounder Bobby Seale. Following the riots at the 1968 Democratic Convention in Chicago, police charged Seale with conspiracy to riot. During the trial of Seale and fellow BPP leader Ericka Huggins, students and activists planned a demonstration at Yale to protest what they viewed as a baseless attempt to discredit the BPP and its revolutionary aims. The event had all the makings of a riot. Just days before, riots broke out at Harvard, and on that day students at Kent State would burn the ROTC building. 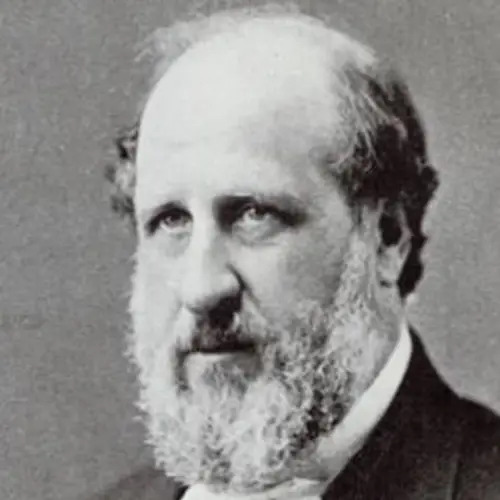 Riots didn't break out at Yale, largely due to the way the university treated demonstrators. Indeed, the university allowed the approximately 15,000 demonstrators to sleep on campus. Likewise, dining halls fed them three meals a day and permitted them to hold teach-ins in classrooms. In 1971, BPP Minister of Information Eldridge Cleaver traveled to Algeria to establish an international Black Panther chapter. At the time, Cleaver was on the run as his 1968 ambush of a police officer left him charged with attempted murder. In the early 1970s, party leadership would come into conflict with one another, signaling the beginning of the end of the BPP. Some former members say that the internal division came from the FBI's infiltration. “This is part of what the COINTELPRO operations were all about,” historian Beverly Cage said. 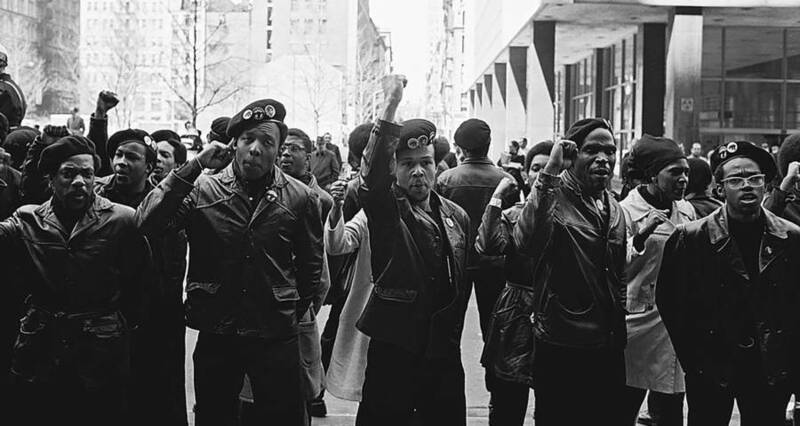 While the BPP succeeded in utilizing national media as a tool to spread its message, it worked both ways: Media, too, could craft its own vision of the Black Panthers — and one that would hopefully sell papers and increase ratings. Prominent outlets often portrayed the BPP as singularly violent and dangerous, neglecting to mention the party's ten-point plan which emphasized equality for all, or its community development projects such as its free breakfast program. The image of the "black thug" resonated with many Americans, who would largely view the BPP as a serious threat to American stability. As Bobby Seale noted in a 1996 interview, the desire to shut down the Panthers also had to do with the view that they could indeed stir a revolution that extended beyond race. By 1974, Newton appointed Elaine Brown (left) to serve as the first BPP Chairwoman. Under Brown’s watch, the BPP focused primarily on electoral politics and community service, and she succeeded in getting Lionel Wilson elected as Oakland’s first black mayor. 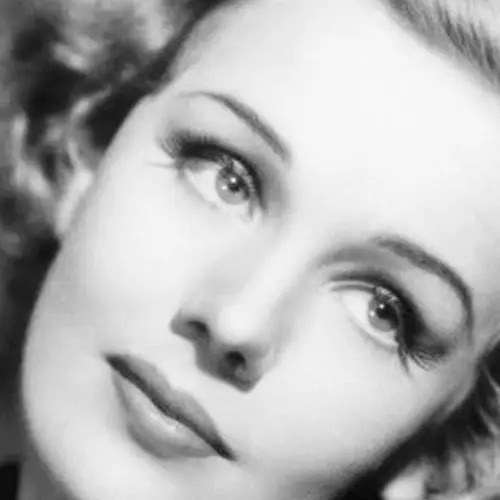 She also developed the Panthers Liberation School, an extension of the Free Breakfast Program which would teach students about class struggle and black history. Brown would eventually leave the party in 1977, as she viewed Newton’s reaction to the beating of BPP member Regina Davis — and the party’s attitude toward women in general — unconscionable. In 1977, Newton — previously exiled in Cuba — returned to the United States. Organization membership fell between then and 1982, when the Panthers school closed as authorities discovered Newton was using funds for the school to support his drug addiction. The party then dissolved. Seven years later in 1989, an Oakland drug dealer shot and killed the 47-year-old Newton. Experts hold differing views on the imprint the Black Panthers left on American politics and culture. On the one hand, as author Jama Lazerow writes, the Panthers offered a life-affirming alternative to black roles and possibilities in public life. 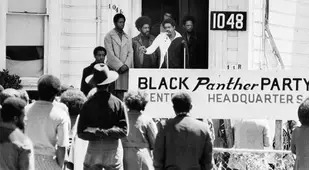 "The Panthers became national heroes in black communities by infusing abstract nationalism with street toughness—by joining the rhythms of black working-class youth culture to the interracial élan and effervescence of Bay Area New Left politics." Others, such as biographer Hugh Pearson, say that the organization’s reliance on weapons and “gang mentality” yielded an increase in violent crime in subsequent decades. Eldridge Cleaver, who later became a Reagan Republican, said that the group explicitly promoted violence, so much so that Hoover “wasn’t inaccurate” in his assessment of the BPP. A "New" Black Panther Party? 1989 marked the founding of the New Black Panther Party for Self-Defense, which describes itself as a "black nationalist organization" dedicated to establishing an "independently governed black nation." Over the years, the organization's remarks have prompted the Southern Poverty Law Center to define it as a racist and anti-Semitic organization. Members of the original BPP have distanced themselves from this new party, saying that the new organization has co-opted the BPP's name and exploited its history. Still, some NBPP leaders say that former BPP members attend NBPP meetings — and thus, that the space between the parties is not as vast as former BPP leaders say. 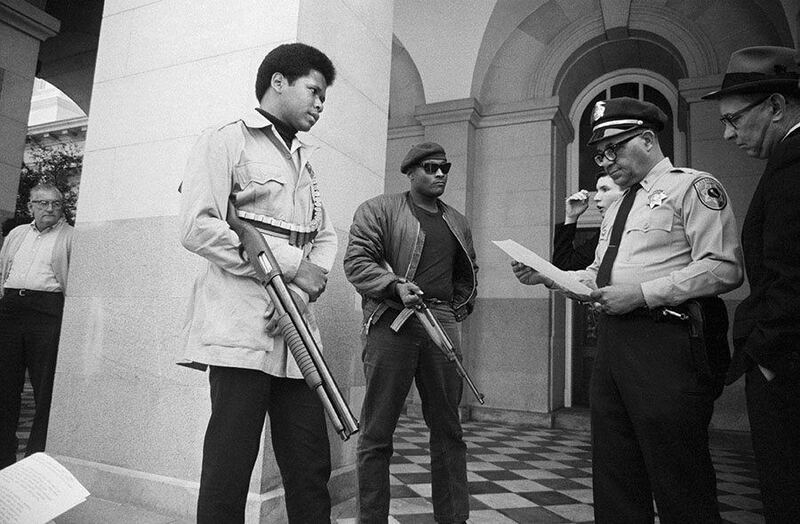 From Jack London's residence as an early 20th-century union activist to the 2011 Occupy Oakland Movement, the city of Oakland, California has historically been a hotbed for radicals -- and there is perhaps no better example of Oakland-born radicalism than the Black Panther Party. Like so many cities at the time, post-World War II Oakland presided over a booming economy, one which lured many southern African-Americans and whites into the 350,000 person-plus town. 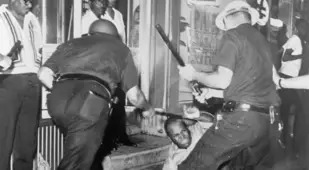 By the 1960s, African-Americans constituted approximately half of the city population, while the police force — many of them recently-arrived Southerners — was all white. This dynamic, Oakland historian Steven Lavoie says, laid the groundwork for racial discord and police brutalization of African-Americans. Along with many other cities at the time, discrimination and violence against African Americans coursed through Oakland. 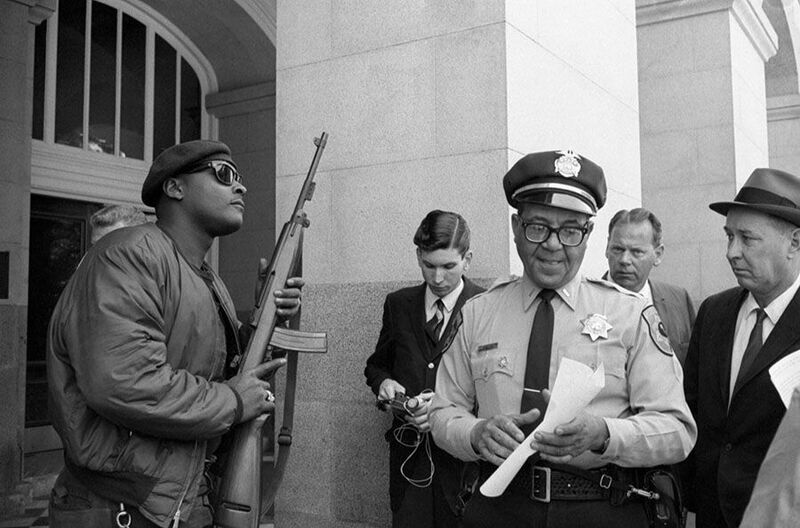 Fed up with civil rights leaders like Martin Luther King Jr. calling for nonviolent resistance to brutalization and in search of a transformation of existing economic and racial power relations that they believed stood at the source of this violence, two Oakland residents — Bobby Seale and Huey Newton — decided to take matters into their own hands. 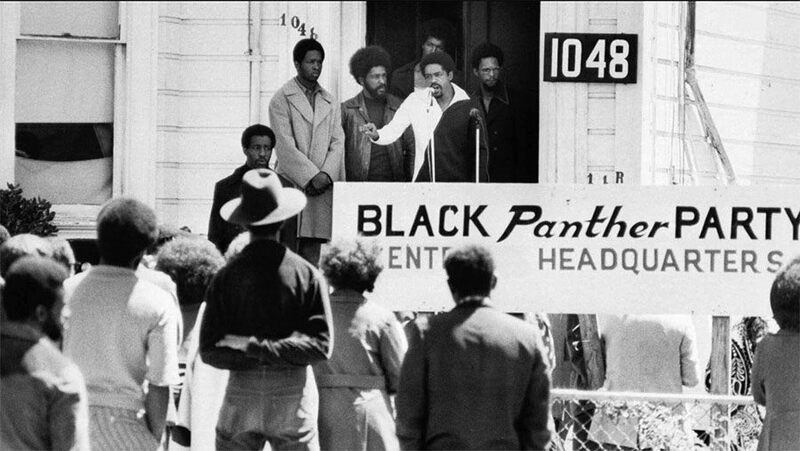 In 1966, they created the Black Panther Party, a radical political organization whose influence would soon extend far beyond the Bay Area. Learn more about civil rights and African-American resistance with these posts on the Harlem Renaissance and how Martin Luther King Jr's "I Have A Dream" speech almost didn't happen.